Puppy Mill Imports? Yep, They’re STILL Coming! In 2008, Congress passed a law that prevented puppies ages 6 months and younger from being imported into the US. Why? Because there was no oversight of the way the puppies were bred or raised. Many were sick. They were inbred, meaning the likelihood of genetic abnormality was strong. Besides, why in the world would we allow the import of dogs when we’re killing them by the thousands every day? Well guess what? Puppies are STILL being imported. Seems the USDA never implemented a rule on how to regulate the law, so the puppies just keep coming. Tell the USDA Secretary Tom Vilsack to ENFORCE THIS LAW! You can call the agency at (202) 720-2791. Or you can go to the Humane Society of the US’ web site and send an email. If you choose this option, be sure to add your own personal message at the bottom of the canned message. I said that it is unconscionable that we allow the import of puppies while state and local budgets are already burdened with the cost of caring for unwanted animals. Laws are nothing if they aren’t enforced. Let’s make sure this one IS ENFORCED! This should be absolutely illegal!! Not only from abroad but also the one that are in US. I am off to send that email! Thank you for sharing. I think it about it everyday, much to much of the day, and I am becoming obsessed with them. I have four small dogs who had Moms in Mills. My mind just boggles when I think that the US govt’ lets this happen. Not just the imports but puppy mills in general. There needs to be movement to get the animals about from behind the wing of Agriculture. Until they separate companion animals from live stock grown for food, the lobbyists for Big Ag are going to keep fighting the bills against animals cruelty. 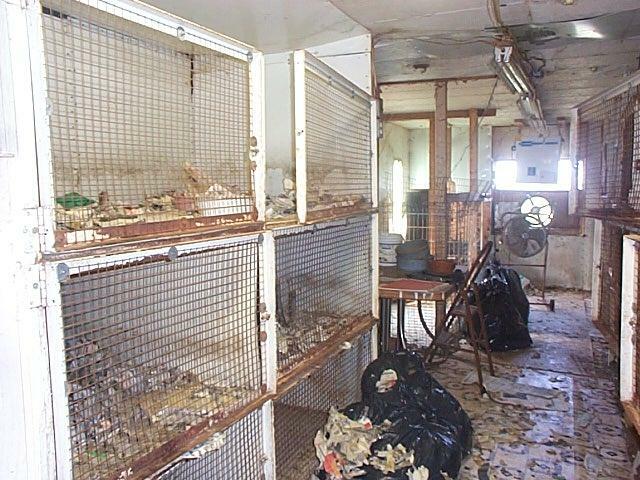 I am glad that so many pets stores are going to be shut down but the biggest problem is still that people do not even know that puppy mills exist. We need a HUGE catalyst for change so people are more aware of it. I wish I knew what it was .. I agree with you, 100%. And I will send an email. We have the same problem here since all borders are open. It makes me angry and sad the same time. Why pets always have to pay for the greed and the foolishness of the humanity? Right! Why do dogs have to die because they aren’t “pure bred”? Going to the website to write that e-mail! My link didn’t add. Sorry. I got that fixed now. I received a communication from the Humane Society with this link for those who want to e-mail directly to USDA to stop this nonsense. Thanks again, Rumpy & Jen. Man, that makes you sick!!! Some friends of mine paid a small fortune for a pedigree kitten. It didn’t work out. Fortunately she was rehomed successfully with another friend who copes with her various problems. But it could have ended very badly. So long as we view animals as commodities and status objects, we will continue to cause misery and suffering. So much for being the superior species. Once again the things people will do for money – and harming innocent creatures. I will have to check on what is actually written down. I’m not sure the USDA has any enforcement authority…but some agency should. They ban and confiscate ivory and such. Maybe it’s customs/border patrol’s job? They stop/collect birds and lizards all the time. Somethings not working here. Jen, I posted this to my Facebook page. Thanks for keeping us abreast of this horror. Holy crap. That’s appalling and just plain evil. I will go and write to Tom Vilsack now! Just got done sending the email with my comment. This is just deplorable! We’re already killing thousands of perfectly wonderful animals as it is, without “importing” more!